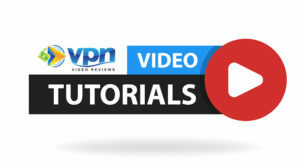 What are the most important, essential VPN features you should look for in a VPN? There’s a lot of money that fuels the VPN market, both in advertisements and in affiliate commissions. It’s hard to know which VPN features are marketing fluff or legitimately useful. Over the past 10 years that I’ve been using VPNs to access the internet, I’ve come to understand more the ins and outs of the industry. A lot of it unfortunately feeds on fear and builds up features that may or may not be useful. Using quite a few VPNs have also taught me which features I value the most. 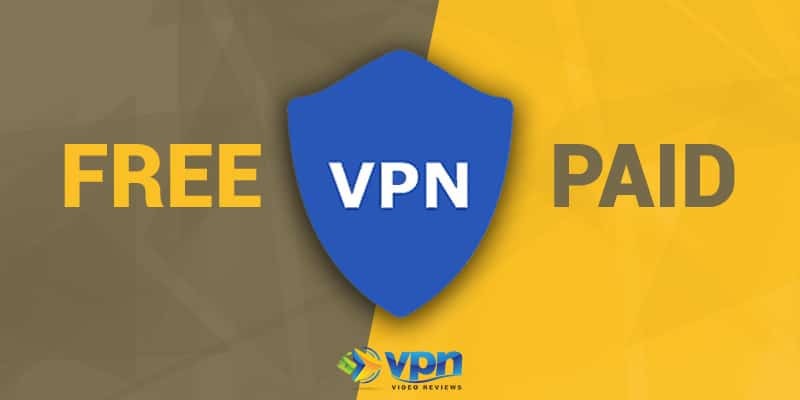 If you’re in the market for a VPN, I suggest you carefully read through these essential features and then browse my list of recommended VPN providers that offer these features. Personally, I’ve been using ExpressVPN for the better part of a decade. Although there are literally hundreds of VPNs on the market today, for the sake of simplicity I’m going to use ExpressVPN as the example for these sets of features. A VPN service is only as good as the apps and software that help you connect. What you need to know is, “Does this VPN keep up-to-date with all of the updates being made to all the different operating systems?”. It takes quite a bit of man power and money to make this happen, which is why a lot of VPNs stick with the motto of If it ain’t broke, don’t fix it. The trouble is that VPNs don’t actively advertise how often they update their apps and software. You’ll need to speak with customer support and ask them. The best rule of thumb, and one I’ve noticed ExpressVPN does well, is that with every major OS update that comes out (i.e. a new Windows OS, an updated Mac OS or a major mobile update), a new version of the VPN software and apps is released. This particular VPN feature is the most confusing. Why do I say that? 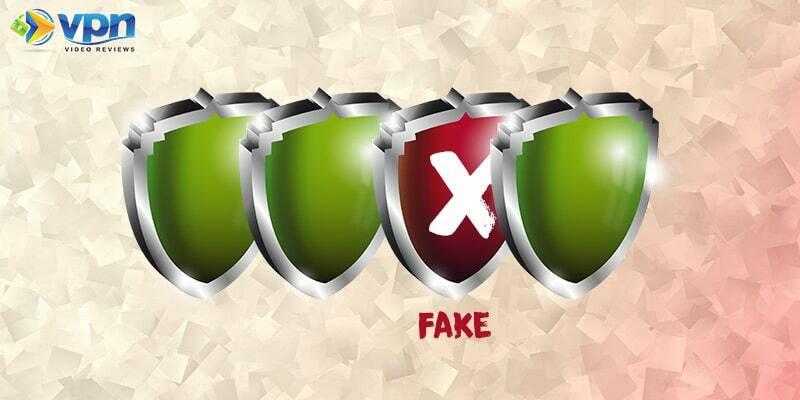 Because I know how most VPN companies are lying to us (or at least deceiving us). When I say “a clear logging policy,” what I’m not referring to is a headline on the homepage that says “We Don’t Log ANY Information…We Promise!”. In my experience, problems always seem to happen at the most inopportune time. Perhaps its during a major holiday or in the middle of the night. You don’t have time to wait 24 hours or more for a response. It’s becoming more and more common for quality VPN services to offer live chat customer support 24/7. It costs them money, to be sure, but that’s part of what separates great VPN companies from good ones. Sometimes you’ll find the live chat on the VPN homepage, but you also might need to log into your account to access customer support. Email support is good, phone support is rare, but live chat is great. Having thousands of servers spread across lots of countries is a good thing…but don’t buy all the marketing hype they’re giving you. A lot of times I find people purchase a VPN and then complain about their VPN speeds. There are a number of different factors that could contribute to this, but one easy one is connecting to a server that is physically near you. Don’t be wowed by big server numbers. When it comes to VPN server options, check the list or map to make sure that they offer plenty of servers near you. For example, you can look at this server map from ExpressVPN or this server list from NordVPN to see what they offer. Why would you need SmartDNS in addition to a regular VPN connection? There are a couple reasons that I’ve run into myself, but the biggest is this. SmartDNS allows you to bypass geo-restrictions without sacrificing the speed loss of a VPN connection. For example, if I want to stream video content from Netflix in China, I can easily connect to a VPN. However, because a VPN encrypts all data that is sent and received, that slower connection might result in a lot of buffering. SmartDNS, on the other hand, allows you to access geo-restricted content without encrypting the data (for more info, check out my explanation of what SmartDNS is). Not every VPN service offers both within the same package. You’ll have to ask. If you’ve never heard of a VPN Kill Switch before, it’s basically a feature that will cut your devices network access if your VPN somehow gets disconnected. I’ve gone into a deeper explanation of a VPN Kill Switch here. While this is an advanced feature for most VPN users, it’s one worth having in my opinion. This is especially true if you’ll be using a VPN over public networks or while transmitting sensitive data. What you’re trying to do here is ensure that all data entering/exiting your computer is encrypted and protected at all times. Some VPNs call it a “kill switch”. Others like ExpressVPN call it a “Network Lock”. Split tunneling is a nice little advanced feature that I’m going to list as “optional” just because I haven’t used it as much as I thought I would at first. The idea of split tunneling with a VPN is to give you the power to control which apps, programs or even websites access the internet directly and which are pushed through the VPN encryption protocol. You can choose what needs encryption and what doesn’t. My personal application for this feature was in China, where I set VPN tunneling on for those websites which were blocked by the government. For the sake of speed, all other websites weren’t routed through the VPN. Like I said, it’s a nice feature, but it is optional. Just like ice cream, VPN connection protocols come in a variety of flavors. There’s the high-security, low speed protocols and then there are lower-encryption, higher speed protocols. 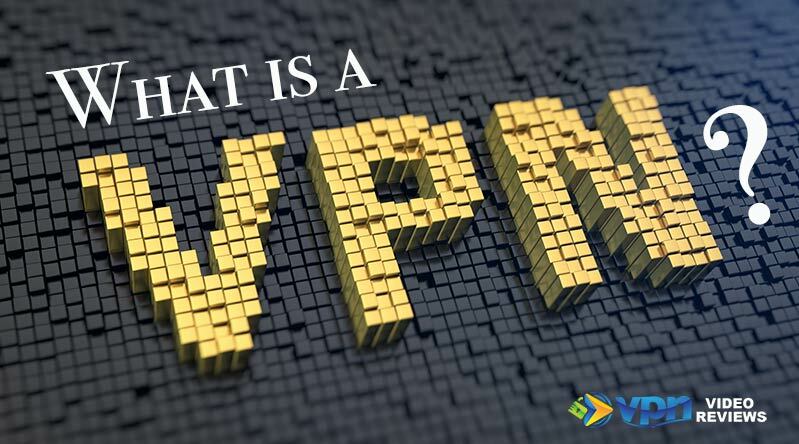 Most VPNs – but not all – give you the option to choose which protocol with which you want to connect. These connection protocols go by a number of different names such as “OpenVPN” (very secure), L2TP, PPTP and others. No matter which options are provided, make sure the VPN you select has the option to choose your protocol and a clear explanation of each. Download my Free Guide to Keep You Safe Online! IPv6 is considered to be the next generation of IP addresses (the address that your device is assigned when connected to the internet). With so much of the world now getting on the internet and smart devices flooding the market, IPv6 was the solution to the problem of the world running out of these IP addresses. The truth is the IPv6 leaks really aren’t a big threat to your online security, which is why I list this VPN feature as “optional.” However, since there are times where a VPN could leak your real location if they don’t handle IPv6 requests, leak protection is the answer. For most VPNs, including ExpressVPN, IPv6 leak protection is listed under Advanced Settings as a simple check box. More than likely, you’re going to be connecting to a VPN on more than one device. You have your computer, your phone, your tablet computer, your wife’s devices and maybe some family devices. It’s important to understand how many simultaneous connections that a VPN allows you to have before signing up. You can have the software installed on as many devices as you want, but there is a set number of simultaneous connections you can have. There is no standard here. For example, ExpressVPN allows you 3 simultaneous connections while NordVPN offers 6 simultaneous connections. I’ve been perfectly fine with three, but you need to check what’s best for you and your family. There are some features I’ve left off of this list, the most obvious of which is pricing. I don’t really consider that a “feature,” though, since every VPN has to have a pricing. That is, unless it’s a free VPN – which I don’t recommend using. 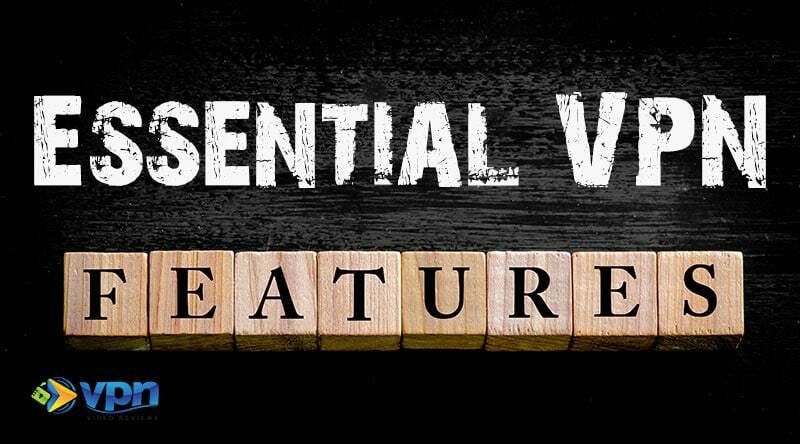 As you shop around for the best VPN for your needs, keep this list of essential VPN features handy. Compare them against what you see on their website. Not every VPN will carry each of these essential features – in which case I recommend you keep looking around. If privacy and online security are a priority for you, you’ll want to have these features available to you. Do you think there are other features missing on this list? Comment to let me know below! I know this gives a local view of service so it’s not a “direct” comparison. In this tool there is a listing of what stations you can receive OTA and how strong your signal is. This is accomplished by a color coded list. Green for good, yellow for fair and red for no service, a “traffic light” rating if you will. My proposal/suggestion is to assemble a list of VPN services using this “traffic light” colors to indicate the best to the worst services that exist. Perhaps with a comprehensive feature check mark grid to show what features are offered. I know it’s been done before but usually with a small list of “the ten best”. If a list like this exists already, is there any way to link it in your columns? This seems to be a great way to illustrate the VPN market and give a confirming nod to your convictions in your columns and help out those of us naive of the dangers lurking in the internet streets and highways. Those wanting protection need to know which umbrellas and raincoats work. Sometimes we need split tunnel, sometimes full cover and NEVER a scam. Thanks for the ideas, Fred! I’ll definitely take that into consideration.